This Miami Beach wedding was a lot of fun! Olivia + Andres came all the way from NYC to have an outdoor wedding under the best winter weather Miami has to offer. They got engaged in Madrid, Spain. After a long day of travel Andres wasted no time to propose, needless to say Olivia was over the moon. 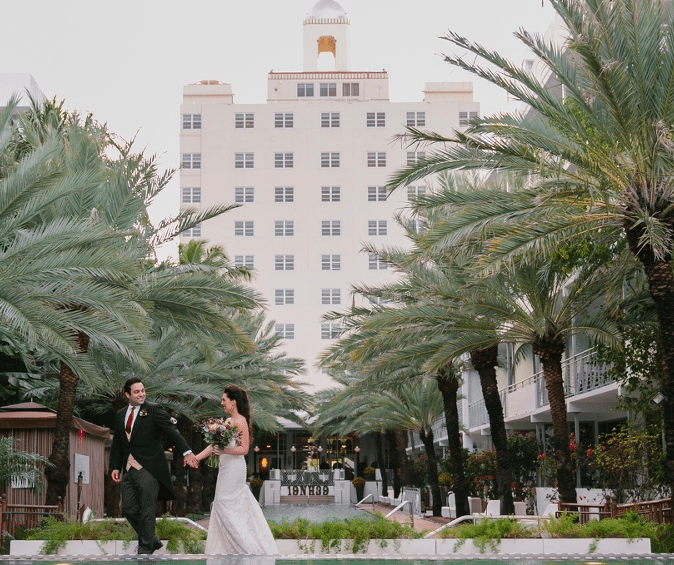 So it was not a surprise this duo chose to have a destination wedding as they love to travel, but also Miami was the perfect location to welcomed their guests that traveled from NYC, Washington D.C, and Madrid, Spain. Their details were perfect, and one of my favorite items was their wedding invitation! 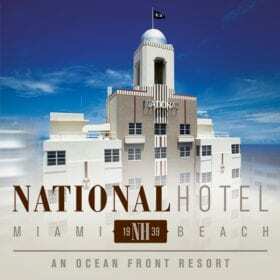 I love how they used illustrations of themselves and the iconic National Hotel, where they hosted their wedding party. Olivia + Andres, thank you for having me as your photographer, I wish you a fantastic live together fill with adventure and love!